We love pizza in our house. It gets baked up at least once per week. 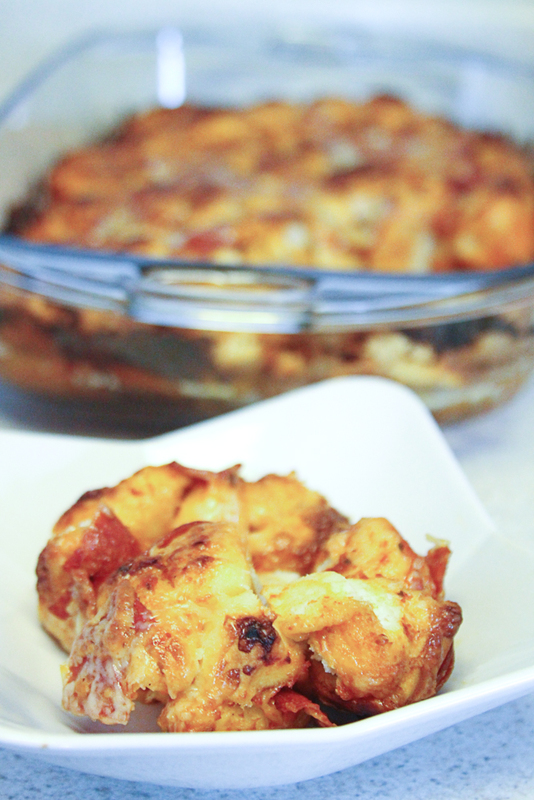 Of course, I always like to change things up so I decided to make some pull apart pizza bread instead of our traditional pizza. 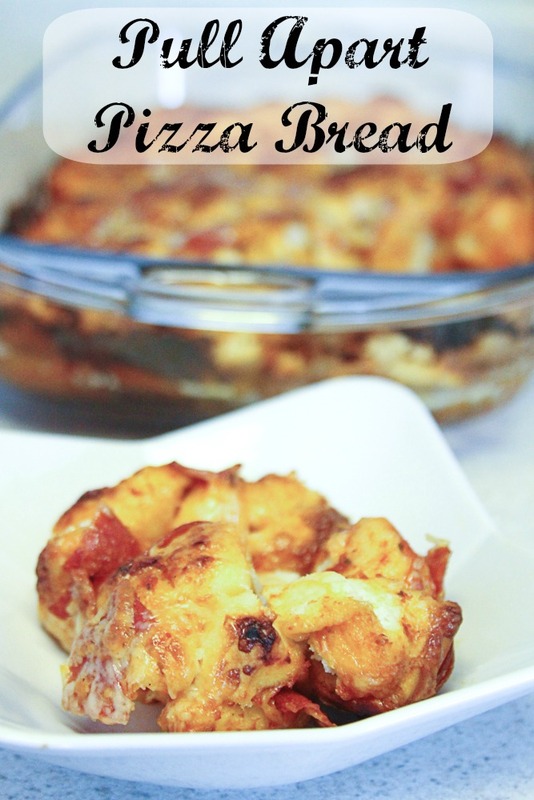 This pull apart pizza bread is perfect for snacks, appetizers or even as a low key main dish. I am looking forward to making it for the Superbowl this year because I know it will be a huge hit! 1. Preheat oven according to instructions on dinner roll package. 2. Cut dinner biscuits into quarters and place in 9×12 casserole dish. 3. Cut pepperoni into quarters, toss into casserole dish with biscuits. 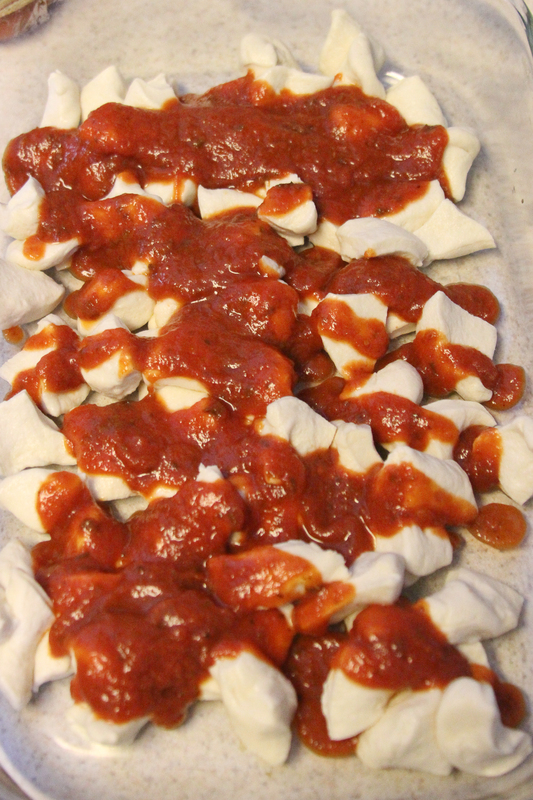 Add ½ the shredded mozzarella cheese. 4. 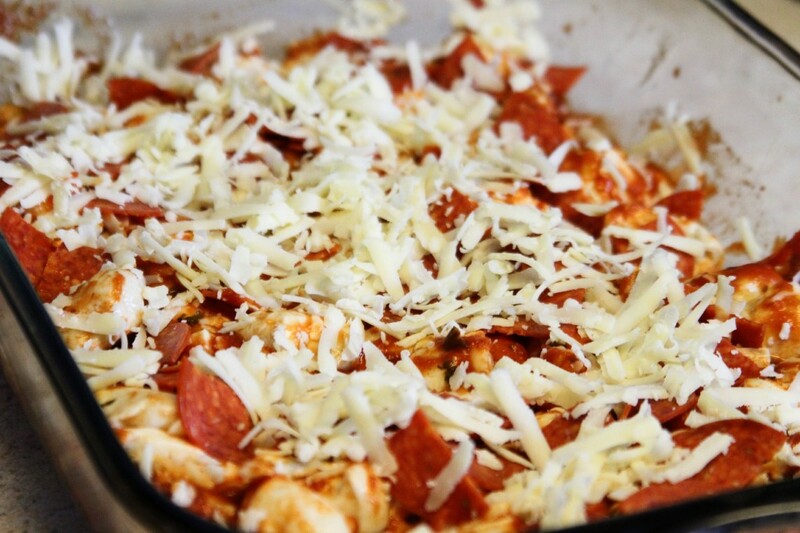 Pour pizza sauce into casserole dish and toss all the ingredients together. Top with the remaining shredded cheese. 5. Bake in the preheated oven for 15 minutes or until the biscuits are cooked through and cheese is melted. I love this recipe because it can be altered to include any and all of your favorite toppings. I know that pepperoni is definitely going to a hit at most of our parties but I might try a vegetable version too. What is your favorite way to eat pizza? Have you tried pull apart bread before? Preheat oven according to instructions on dinner roll package. Cut dinner biscuits into quarters and place in 9x13 casserole dish. 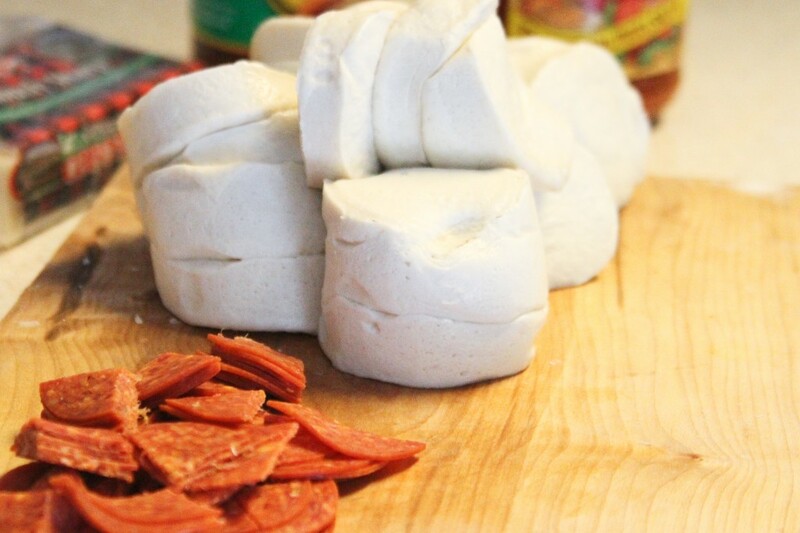 Cut pepperoni into quarters, toss into the casserole dish with biscuit pieces. Add ½ the shredded mozzarella cheese. 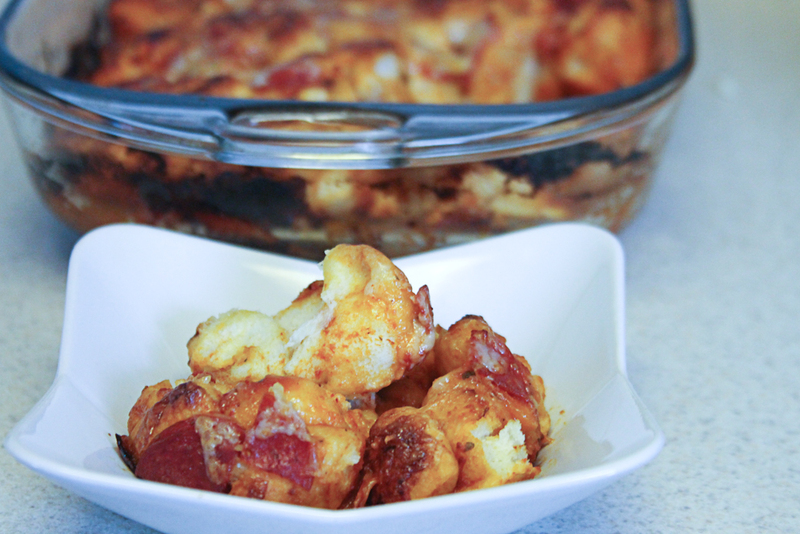 Pour pizza sauce into casserole dish and toss all the ingredients together. Top with the remaining shredded cheese. Bake in the preheated oven for 15 minutes or until the biscuits are cooked through and cheese is melted. Yum! I love easy recipes using biscuit dough. Visiting from the SITS challenge. What a great idea. My Hubby loves pizza but I seldom make it because it is such a hassle. But this I could do. I have made mini pizzas before by rolling out a raw canned biscuit and putting the pizza stuff on it. It makes a thin, crispy, personal sized pizza. I haven’t thought of those since the kids were at home. I might have to have pizza tomorrow night! Not exactly healthy, but sure looks delicious! Looks super simple to make and delicious!! My family will love this new idea on pizza nights!